While NBA free agent signings like LeBron James, Kevin Durant, and Paul George are likely to pan out well for the teams who signed them, such success does not always follow every player who accepts big money to sign a new deal. Each summer, potential busts are everywhere. Call it failure to mesh with new teammates, lofty expectations, the inability to find a groove in their new assigned roles or the simple decline of a player that happened much more rapidly than most might have expected, the reasons these free agents crap out are plentiful. This summer was no exception. Within minutes of the alarm sounding to open free agency, names started coming off the board. How many of the teams made smart bets are uncertain, but we can take a future look at the ones most likely to be revisited and reevaluated as mistakes. 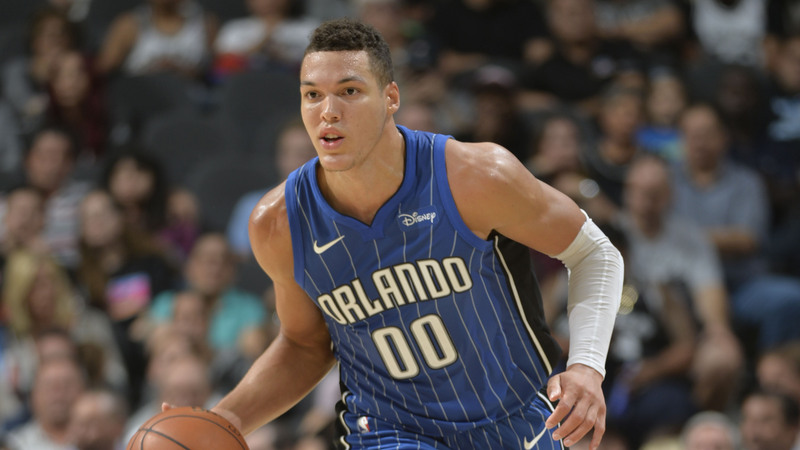 Aaron Gordon is a good basketball player. But, anyone that suggests he is an effective No. 1 offensive option for the Orlando Magic is focused more on what they think he could become, not what he is. Today he's not enough of a star to warrant a $21 million per season contract, especially when similar-style players couldn't land more than two-year deals on the open market. Gordon is a decent finisher but he still needs someone else to make him a truly effective weapon on offense. He's not a strong pull-up shooter, he's not great from behind the arc and when he shares the floor with the wrong combination of players, he often looks lost. Perhaps the franchise built goodwill with this contract now but the chances of Gordon remembering this overpayment in four years and being willing to take a discount at that time to make up for it are slim. After landing LeBron James, the Lakers got busy adding more pieces. Lance Stephenson might be among the most questionable. Forget for a second that this is the same player who has had known issues on the court with LeBron, he's much less valuable a player than the ultra-aggressive defender he's made out to be. People who like him say he's got hustle and energy but it's really an often uncontrolled tactic of invasion Stephenson brings with him. He's bound to be a one-and-done in LA. Stephenson's signing doesn't make a lot of sense but maybe the Lakers don't care. For all we know, they could be choosing to wait until next season to make their move. Next stop, the Washington Wizards. The often lazy and unmotivated center seems to find ways to get himself shipped out of every franchise and will Washington be any different? Likely not. No, the Wizards didn't sign him to a long-term deal but this is just another player with a reputation being added to a locker room full of people with a reputation. Even John Wall, who wanted the Wizards to sign Howard said he can't or won't try to control him and that Howard will need to want to be a part of this team and change on his own if he wants to fit in. The Wizards are also a team that doesn't shoot very often and Howard is best when he's catching lobs and gathering rebounds. This isn't exactly a formula that screams success. Carmelo Anthony makes this list since it's too enticing not to try and predict the inevitable. He's working his way out of the Oklahoma City Thunder organization and being wooed by a number of teams, specifically the Houston Rockets. Should they land him as a free agent, expect quiet trouble from the get-go and louder trouble as the season rolls along. The entire reason Anthony is leaving OKC is that he didn't want to take a back seat to Paul George and Russell Westbrook. What does he think will happen behind Chris Paul and James Harden? So too, Anthony has a history with Rockets' coach Mike D'Antoni. There is word both have spoken and are willing to put their past behind them but what happens when Anthony gets the slightest sniff the relationship isn't working out in his favor? This is a player with a history of being hard to work with. Add the optics of the Rockets' organizational structure to the mix and this has disaster written all over it. No amount of money paid will matter when this thing explodes like a powder keg. Yes, this contract is only one year and yes, it's only for $1.8 million, but any amount of money is too much money in this situation. This is especially true if you're giving a roster spot to a player who definitely shouldn't have one on a contending team. Michael Carter Williams is injury prone, he averaged 4.6 points on 33 percent shooting and 24 percent from behind the arc in 52 games last season. This is player who has had compilation videos made of his missed layups. That's how downhill he's gone. That the Rockets somehow thought Michael Carter Williams might make up for some of the names they lost is laughable. 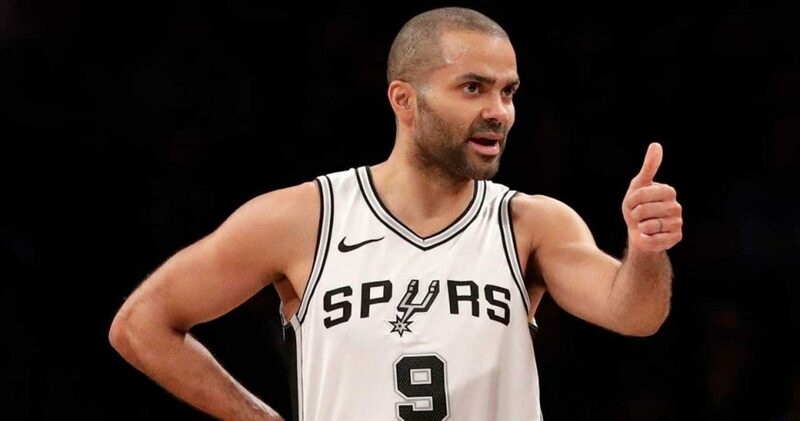 Outside of the fact that it's extremely strange to see Tony Parker in any uniform other than a Spurs one, those fans hanging onto the idea that Parker is still a valuable player are ignoring his statistics every season since 2013-14. So, to give him two years of guaranteed money like the Charlotte Hornets did is a mistake. If the argument is the Hornets grabbed Parker for his leadership and mentorship ability, don't let anyone talk to Kawhi Leonard. Parker is one of the main reasons both Leonard and Parker are no longer in San Antonio. One can only hope the Hornets aren't putting a lot of responsibility on Parker's shoulders and Parker hopefully didn't think he was going to win much. If so, neither side of this deal will be very happy.